English-speaking people settled along area stream valleys in the early 1800s. Many were of Scotch-Irish descent and came from the eastern mountains. Wayne County was created in 1818 by the last Missouri Territorial Legislature out of parts of Cape Girardeau and Lawrence counties and thus predates the state of Missouri. In March 1819 Congress established the territory of Arkansas and most of Lawrence County, Missouri Territory became Lawrence County, Arkansas TerritoryWhen the county was formed, 5 commissioners were appointed to govern the county. They chose a small settlement known locally as Cedar Cabin located on the St. Francis River to be the county seat and named it Greenville. The railroad towns of Piedmont and Ellington were established about the time of the Civil War. This was an area that changed hands several times during the Civil War. Near Clearwater - at Patterson - was a Civil War facility called Fort Benton. The Wayne County Historical Society is working to preserve the site and its history. It is associated with the Battle of Pilot Knob, which was the bloodiest battle west of the Mississippi. Fort Benton was recently placed on the official National Register of Historic Places.Major settlement came after the Civil War when the railroads and a timber boom opened the area. Greenville was later relocated by the construction of Wappapello Lake in 1941.It is associated with the Battle of Pilot Knob, which was the bloodiest battle west of the Mississippi. Fort Benton was recently placed on the official National Register of Historic Places. Major settlement came after the Civil War when the railroads and a timber boom opened the area. 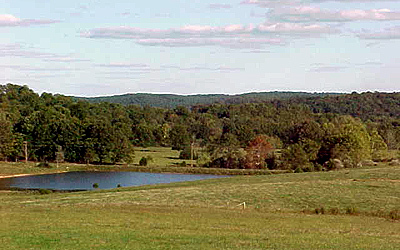 Greenville was later relocated by the construction of Wappapello Lake in 1941. On average there are 215 sunny days per year in Greenville. The July high temperature is around 91 degrees, with a January low of around 22 degrees. The comfort index is 29 out of 100. Greenville receives about 46 inches of rain per year. Average snowfall is 8 inches. The number of days with any measurable precipitation is 96. Area attractions include Gads Hill, the setting of the first Missouri train robbery by Jesse James. Union Pacific Resources now has a quarry there to mine granite. Probably the biggest happening in the area is the Ozark Heritage Festival held at Piedmont. Other area events include Ellington's Spring Fever Festival, Old Greenville Days, the Blackpowder Rendezvous, the Freedom Fest at Annapolis, the Wayne County Saddle Club Horse Show and Rodeo and others. Public schools in Greenville include Greenville Elementary School, Greenville Junior High School and Greenville High School. Colleges and universities near Greenville include Southeast Missouri State University, Jefferson College, Arkansas State University, Southern Illinois University-Carbondale, Saint Louis Community College-Meramec, Webster University and Southwestern Illinois College. Hospitals and medical centers near Greenville include Three Rivers Healthcare-South Campus, Madison Medical Center and Reynolds County General Memorial Hospital. Outdoor recreational opportunities abound! Wappapello and Clearwater lakes are major sources of recreation and are visited by over a million people each year. Clearwater Lake is on the west side of Wayne County; while Lake Wappapello is on the east side. The fishing is year-round at Clearwater Lake with bluegill, sunfish, catfish, largemouth bass, white bass, spotted bass, carp and crappie. There are also walleye below Clearwater Dam in the Black River where a paddlefish fishery is also in development. Besides natural fish, some of the 1,500 paddlefish stocked here by the Conservation Department in years past are returning for the spring spawning season. Sam A. Baker State Park also offers camping, fishing and water sports. Outdoorsmen will enjoy hunting in the grandeur of the Ozark Mountains and nearby Mark Twain National Forest. Piedmont is not far from the highest point in Missouri, Taum Sauk Mountain. This is also where you'll find Big Spring, the biggest spring in the world, at Van Buren. Plus this is the beginning of the Old South with its rich swamps such as those in Mingo National Wildlife Refuge. And don't forget Johnson's Shut-Ins State Park, Elephant Rocks State Park, the historic Civil War remnant of Fort Davidson and more. There are also several prime canoe floating areas on the Upper and Lower Black River and the St. Francis River. In addition, you'll find a beautiful 9-hole golf course with a country club and swimming pool at the edge of Piedmont. There's just too much to describe to fully do justice to the Greenville and Wayne County area. 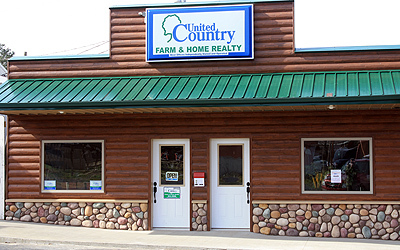 You'll need to stop by soon at our United Country office where we can give you a better feel for the area and show you some of the many properties we have for sale.